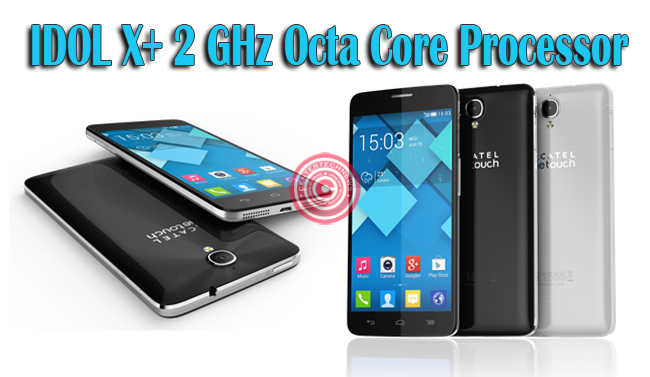 ALCATEL ONETOUCH steps up the notch of IDOL range with IDOL X+ supported by Octa Core processor, eight cores working simultaneously to bring out speed, efficacy and the ultimate experience a smartphone has to offer. 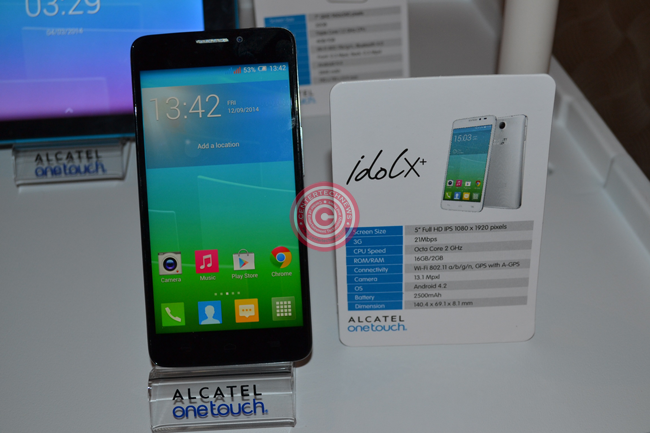 Hot on the heals of the IDOL range success of 2013, IDOL X+ sports a 5” Full HD 441ppi display with ultra-slim size of 8.1 mm thin packed with Octa Core 2 GHz processor. Take crisp photos with 13.1 Mpxl 1080p camera. Proudly have selfies with 2 Mpxl 1080p front camera. Experience smooth web browsing, sleek gameplay and sharp 3D graphics while using minimal battery power cutting the usage as much as 18% than the Quad Core chip. With the brawl of the machine inside is the beauty of the brushed metallic frame in the outside. Enjoy the crisp photos and and full HD movies with the borderless 2.4 mm edge to edge design. IDOL X+ is perfect when showing pictures and videos to your friends and family with 170 degree viewing angle. Supporting SACD’s 24bit/192KHz playback, the side speakers are professionally designed at the side to produce high quality sounds. Keep in style and be on the go. Don’t just show off the slim sleek physical features of the IDOL X+, with you in the minds of ALCATEL ONETOUCH team, the possibilities of endless enjoyment would be limitless.